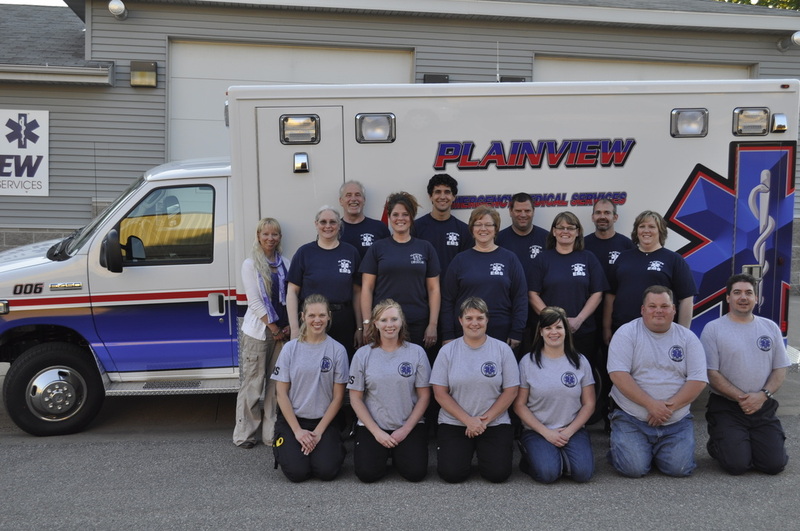 Plainview Ambulance runs about 300 calls per year under the medical direction of SE EMS. We have a training center where we teach EMR, EMT, refresher classes and CPR classes. We have two ambulances and just received our newest ambulance May 20th, 2013. We have a full-time director (Heather Walter) and an assistant director (Dustin Meyer) who are both from Gold Cross. Our crew does several events, EMS Week open house, safety day presentations, weekly BP clinic at the community center, open house during the community festival Corn on the Cob days and other events as opportunity presents itself. Our service has EMR's, EMT's and Paramedics.